Built in 1932, the architect was Rosario Candela, a pre-eminent apartment architect of his time. 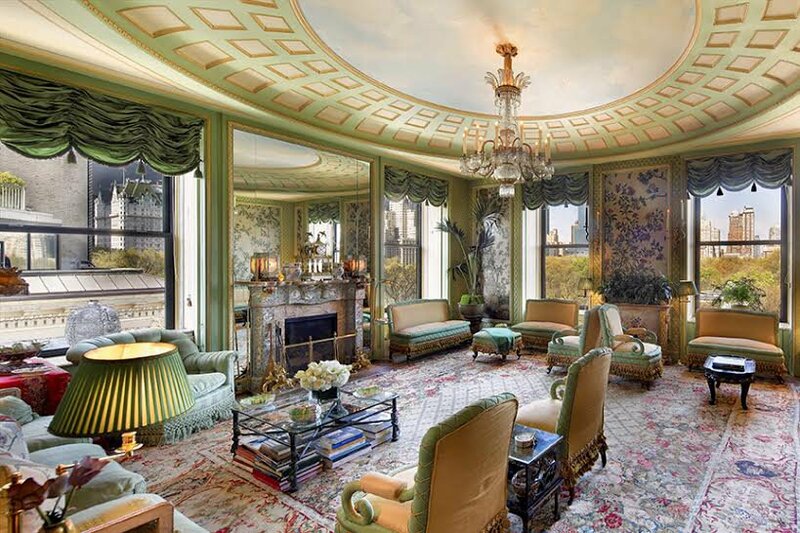 This is the largest unit in Fifth Avenue's premier and most pedigreed building. 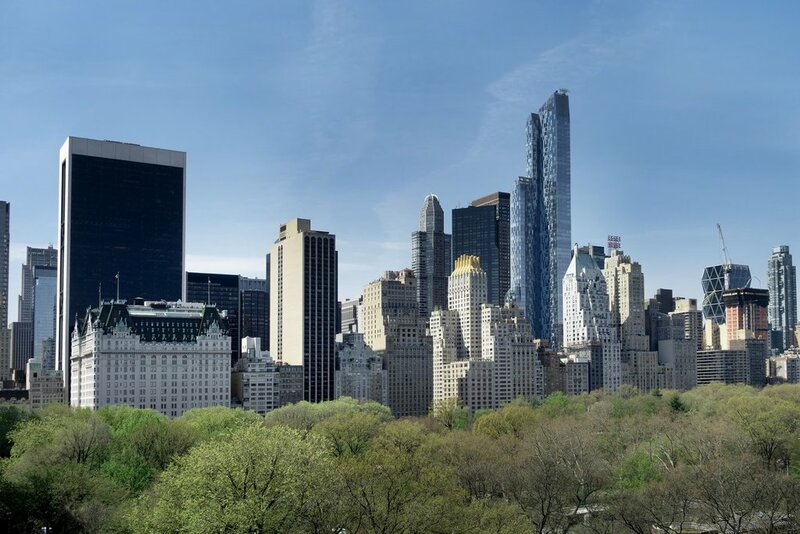 It consists of 12,000 +/- square feet, with 100 feet facing Central Park above the trees to the west, the Empire State Building to the south, and open eastern exposures. It is flooded with sun and light from all directions. 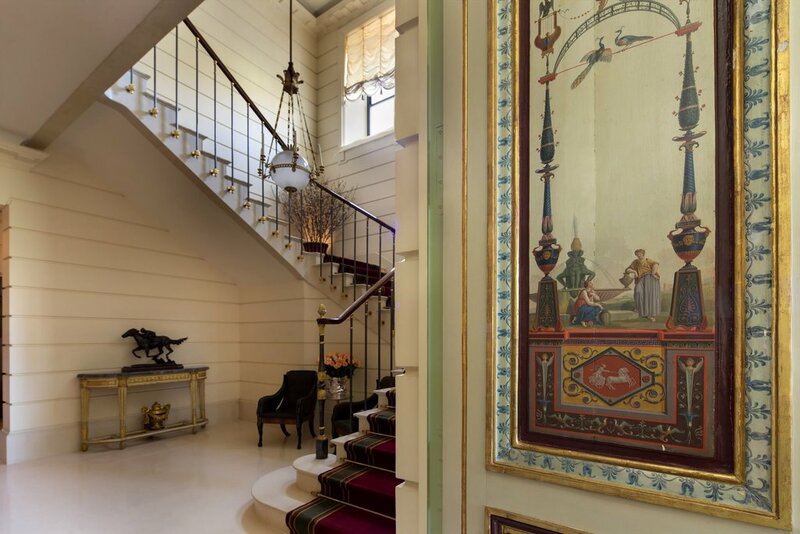 Decorated by Henri Samuel, one of the foremost interior designers of France, with no expense spared to create an architectural masterpiece. 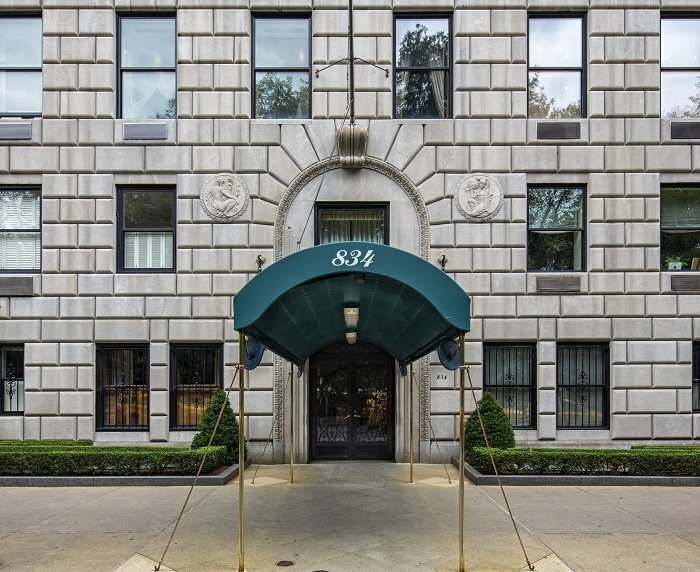 On the 7th floor, a grand entrance gallery welcomes with 24 foot ceilings in the palatial entrance foyer with a grand marble staircase. 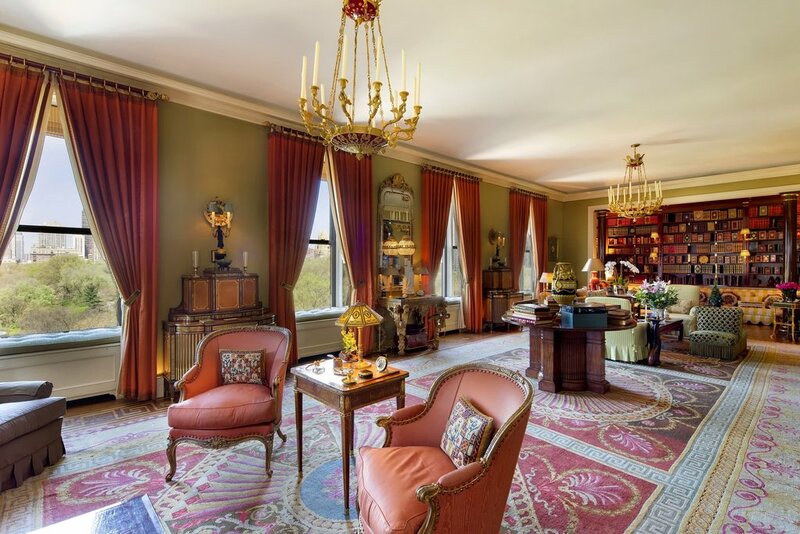 The corner garden sitting room joins with a huge dining room both facing Central Park. Three chambers with en-suite bathrooms. 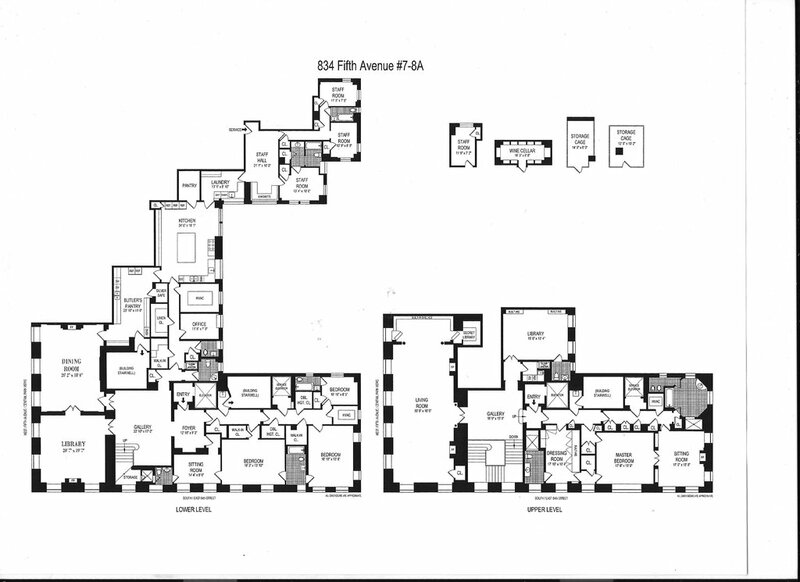 Massive pantries, kitchen, staff quarters, and offices. 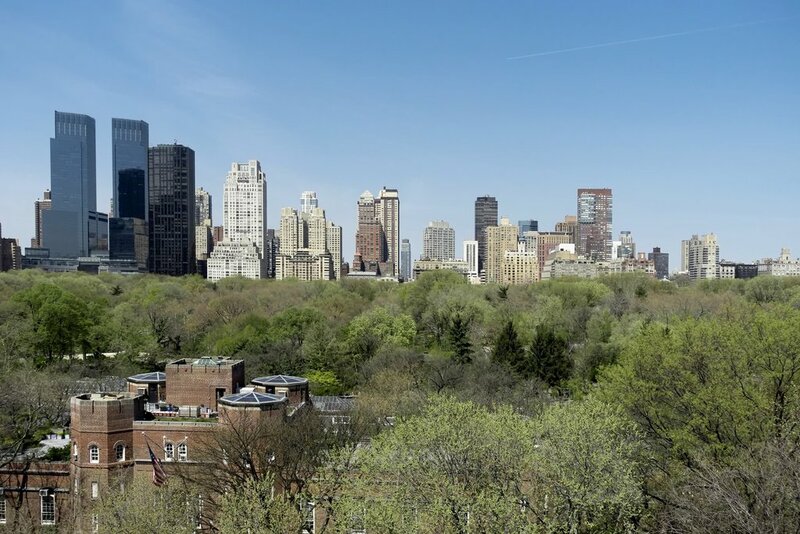 On the 8th floor, a 50 foot-long living room facing Central Park with two fireplaces, den/smoking room with wet bar, and dumbwaiter to the kitchen below. 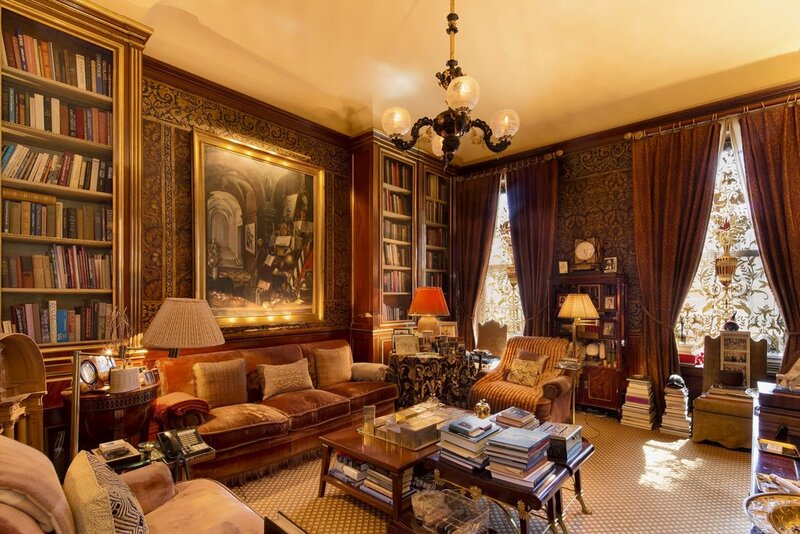 The owner's wing consists of a grand fitted dressing room, master bedroom, over-sized sitting room with wood burning fireplace, and a room-sized bath. The wing was originally designed for two master suites and could be easily converted to back if desired. Closets galore on both floors. Ceiling heights are 12.5 feet. Five wood burning fireplaces. Central air throughout. Included in the purchase price are an outside chauffeur's room, 2 storage cages and a room-sized fully fitted wine cellar. 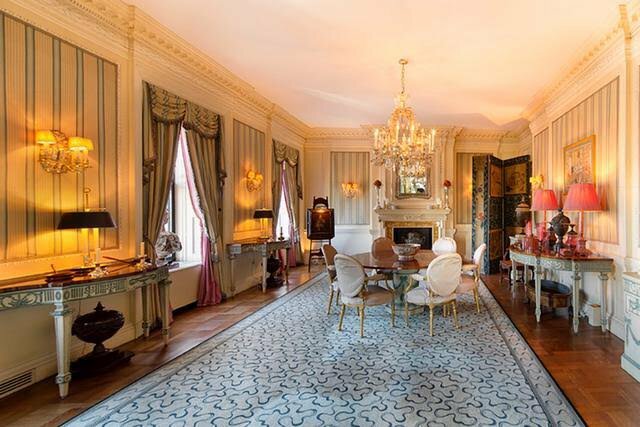 This 22-room home with 7 full bathrooms and 3 powder rooms is unique with a floor plan that can never be recreated or duplicated.